It is the only portable mobile camera that is smartly integrated into your mobile cover for suitability. Air Selfie can travel 20metre in the radius easily. it can be operated and controlled with both IOS and Android, it’s perfectly compatible with both. One can easily keep it like people keep their cell phones. Micro and ultralight come with the same device for storage and charging. This camera is built to solve the issues of the problem in taking selfies- you might have faced a challenge when you are ready to take a Selfie but the camera is still not fitting everybody in even after using Selfie stick. To avoid such annoying situations a perfect team gathered and worked hard in London and Shangai to combine micro-flying technology and ultralight HD cameras with in-flight stability systems. 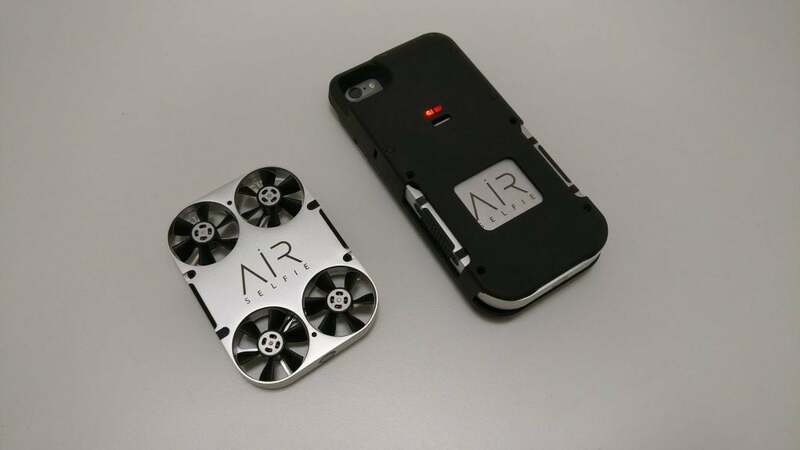 Air Selfie fly easily, it’s very easy to control, it takes perfect selfies and operator will be you. What technical features are available with Air Selfie-? Air 33 is an electric bicycle totally made for you. It is an ultralightweight foldable eco-friendly electric bicycle. The battery is lockable; it is easy to charge and can’t be stolen easily. It can be folded easily so when you don’t want to use it you can keep it with yourself and can take it easy with you anywhere because wheels still move easily in the folded position. It just weighs 33pounds almost half as much as the other electric bikes. What are technical features available with Air 33? Weigh only 33pounds, very light in comparison to other electrical bicycles. These two technologies are all set to enter the market and give a very tough competition to the rivalries. It will be very interesting to see the above-mentioned things in the market running freely. These companies have even started taking preorders so you can order too.